It has seen a 21 percent decrease in missed doses, a 66 percent reduction in wasted doses and zero reportable adverse events in the past 11 months. Lucile Packard Children's Hospital Stanford initiated various safety interventions for medication administration. Moving from a daily medication cart fill – once every 24 hours – to multiple fills per day – every 2 to 3 hours – and implementing a barcode verification system for all medication dispensing has resulted in a 21 percent decrease in missed doses, a 66 percent reduction in wasted doses and one of the lowest medication error rates according to incident reporting in the Solutions for Patient Safety Collaborative. Safely providing medications in a children's hospital environment presents a number of unique challenges not seen in adult hospitals. Doses are primarily weight-based and medication formulations must be manipulated to provide patient-specific doses. An error in the medication use process has the potential for a catastrophic event when a child is involved. At Lucile Packard Children's Hospital Stanford, the prevention of medication errors has been a primary focus for more than 30 years. "Most systems were manual as we waited for the development of technology solutions including software, hardware and automation," Chan said. "Most error prevention strategies had focused on the development and implementation of an electronic health record. However, the entire medication use process needed to be addressed, which includes compounding and dispensing processes within the pharmacy." The primary goal was to improve patient safety and the quality of care. A secondary goal was to eliminate waste by utilizing LEAN principles, standardizing the work processes and workload leveling. The primary drivers included ensuring that for every dose administered to a patient, it would be the correct drug, the correct dose to the correct patient at the correct time, and decreasing waste and improving workflow efficiency to ensure complete documentation. "Prior to the implementation of technology, the systems were primarily manual, which presented challenges in creating standard work," Chan said. "They relied on a manual checking system and lacked the ability to collect data for workload analytics. A core principle of the medication safety plan is that technology implementation should be included. The implementation of information technology as a tool in the pharmacy compounding and dispensing processes had the potential to mitigate the risk of serious medication errors in pediatrics." One of the major shifts was from a daily medication cart fill to multiple fills per day. A review of incident reports identified errors in dosing including lost or missing doses, as well as inefficiencies in the system that resulted in medication waste. "With the every 24-hour fill, the doses could be prepared anytime between 24 to 36 hours prior to when the dose was administered," Chan explained. "Each patient's 24-hour supply of medication was delivered daily at 3:30 p.m. Depending on the complexity of the patient, a single medication bin may contain 40 or more doses per day per patient." As doses were discontinued, modified or if the patient was discharged, doses may remain in the medication bin until picked up the next day. Discontinued doses remaining in the patient's medication bin could contribute to potential dosing errors or waste of unused or discontinued medications. Overall, the 24-hour fill system contributed to difficulties in flexibility and capacity issues. "The goal of the conversion was to redesign the system to separate medications in the medications bins to those needed for the current two-to-three hour interval, the following two-to-three hour interval, to prepare and deliver medications every two-to-three hours around the clock," Chan explained. "As medication orders are modified or discontinued, the previous doses would be removed from the medication bin by the pharmacy within two-to-three hours, thus decreasing the risk of a wrong dose being administered." Another big change was the implementation of a barcode verification system for all medication dispensing. The American Academy of Pediatrics policy statement of Prevention of Medication Errors in the Pediatric Inpatient Setting states that medications should be dispensed in a unit-dose, ready to administer whenever possible. Pharmacy is one of the very few professions in healthcare in which a commercially available product is repackaged and relabeled. "With high volume and a manual system, there is greater risk that errors may go undetected," Chan said. "Errors during pharmacy preparation of parenteral products and admixtures have been frequently reported to the Institute of Safe Medication Practice Error Reporting Program, and studies have shown that compounding error rates for manually compounded complex IV solutions were significantly higher than those preparations that were at least partially automated." A challenge in pediatric pharmacy is that the preparation requires the fractioning of a product for patient-specific doses. This requires extensive documentation, calculations and processes to ensure that the dose is accurate, and meets all regulatory requirements. "Although technology can greatly facilitate the medication safety process, it is critical to understand how individuals interface and perceive the technology. " In addition, the Drug Supply Chain Security Act, which was enacted in 2013 by Congress, outlines steps to identify and trace certain prescription drugs as distributed in the United States with the goal to protect the consumer. "The goal to include barcode validating of the dispensed products was to error-proof the medication preparation process, improve regulatory compliance and documentation, and standardize workflow," Chan said. The hospital became an early adopter of a pharmacy workflow manager, Baxter's DoseEdge, which integrated barcode enabled verification of the source container into the preparation process. The technology also enabled the hospital to create a standard work process with detailed preparation instructions, digital image capture, remote verification of the compounded product by pharmacists and the archiving of all of the documentation of the preparation process, which is readily retrievable in the event of an investigation or recall. With the successful implementation of barcode validation for the sterile product dispenses, Lucile Packard Children's Hospital Stanford decided to move forward with implementing barcode validation for the nonsterile product dispenses. As many medications are not commercially available in a liquid formulation, this required the pharmacy to compound oral suspensions/liquids. The previous system as a standalone system did not integrate with the patient's record and did not include barcode validation of the source container. "The decision was made to adapt and implement Epic's dispense prep and check for the barcode validation of pharmacy dispensed non-sterile products," Chan explained. "Epic's compounding and repackaging module was also customized to create formulation records, which includes barcode validation of the ingredients used to compound oral solutions and suspensions, and create a lot-specific barcode for each lot number that is used to link to the patient-specific doses." Additional value derived from the implementation of Dose Edge and Epic included the ability to prioritize and sort doses, traceability to the patient level, electronic signature and event capture, and the ability to run analytics on workload and workflow, Chan added. All of these efforts resulted in the aforementioned 21 percent decrease in missed doses, 66 percent reduction in wasted doses, and one of the lowest medication error rates according to incident reporting in the Solutions for Patient Safety Collaborative. "Although technology can greatly facilitate the medication safety process, it is critical to understand how individuals interface and perceive the technology," Chan advised. "Adoption and acceptance of the technology is crucial to the success. In addition, there must be the understanding that although technology is a powerful tool, it cannot replace the critical thinking of individuals with a constant vigil focusing on the safety of each patient." 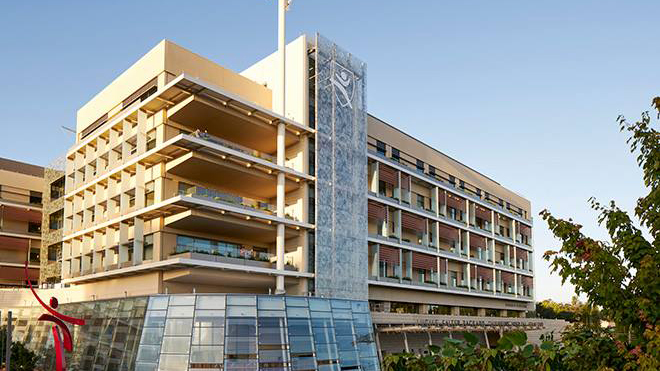 The technology implemented in the pharmacy at Lucile Packard Children's Hospital Stanford helped to drive standardization and remove variability in the work processes, which resulted in consistent quality and reproducible medication products. The technology implemented also provided a wealth of data and analytics that allowed the hospital to proactively anticipate potential risks and address them before they became an issue. "Data analysis also provided valuable information to support decision making, validate process changes and productivity measures," Chan explained. "A continuing review of the types of errors, error rates and near-miss errors, along with data from the systems, allows a proactive approach to medication error prevention." With regard to the hospital achieving one of the lowest medication error rates according to incident reporting in the Solutions for Patient Safety collaborative, this was a significant achievement. The reduction of errors from adverse drug events is one of their focuses of the 11 preventable pediatric hospital-acquired conditions. Adverse drug event rates (per 1,000 patient days) are reported to the collaborative and benchmarked against the network hospital rates. Lucile Packard Children's Hospital Stanford has had zero reportable adverse drug events for the past 11 consecutive months, substantially below the collaborative ADE rate of 0.012 ADEs per 1,000 patient days. The hospital was awarded the HIMSS Enterprise Nicholas E. Davies Award of Excellence for these initiatives.